Waterside01274 594444work RestaurantLocated on the banks of the canal, The Waterside Restaurant is one of Shipley’s best-kept secrets. In its idyllic location, the restaurant offers a range of dishes to suit every taste and appetite - from an extensive café/bar lunchtime menu to an irresistible choice of dishes in the evening. With the opportunity to eat and drink ‘alfresco’ in the heated covered atrium, there really is no better place to dine out in the area. 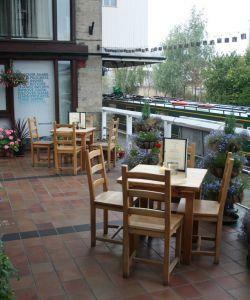 Located on the banks of the canal, The Waterside Restaurant is one of Shipley’s best-kept secrets.